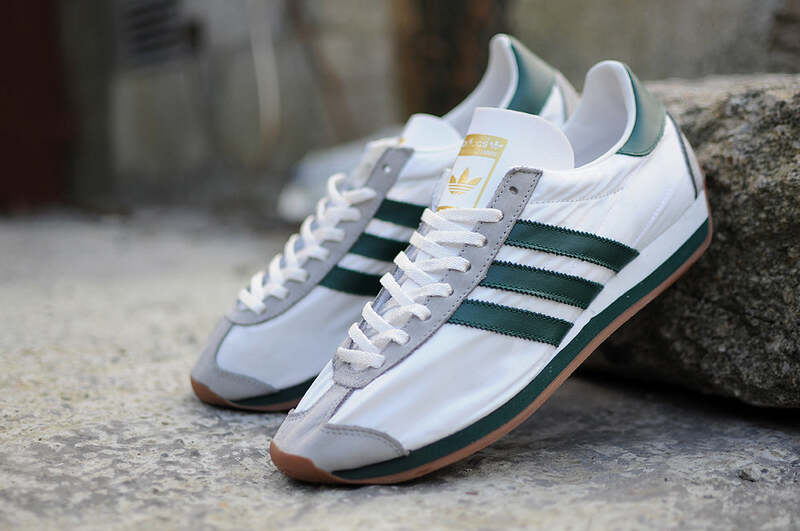 adidas Originals reissue the Country OG for Spring / Summer 2015. 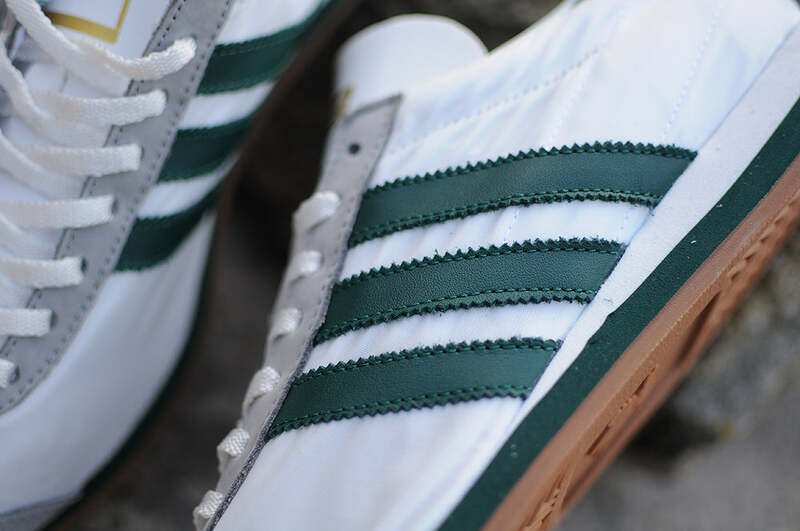 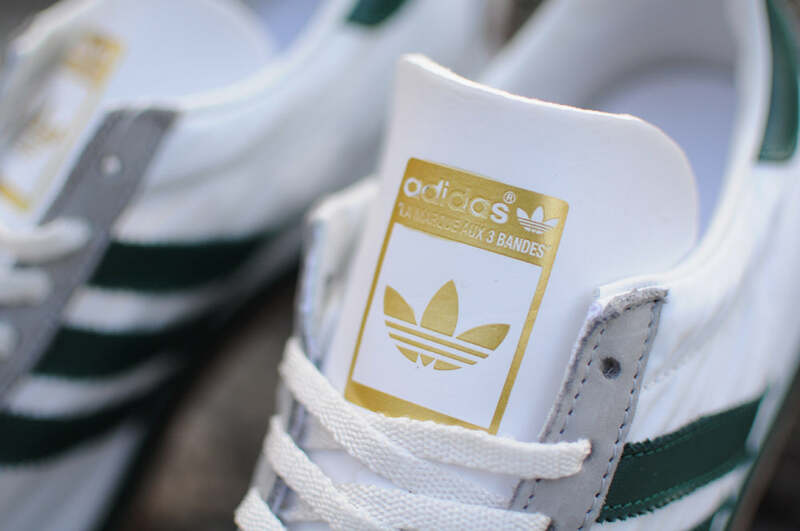 With uppers of white crispy nylon with grey suede panels and Forest green accents on the heel tab stripes and midsole. 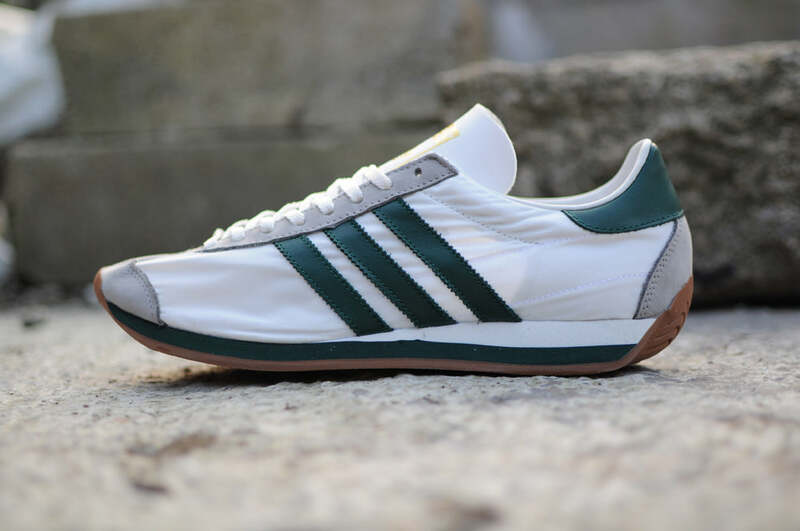 All this us built upon a natural gum outsole.